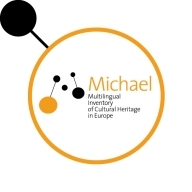 Michael Culture Association (Aisbl - Belgium) is an European trans-domain devoted to European digital cultural heritage valorisation. It gathers a strong network of more than 100 public and private organizations from all over Europe. Key actor in the promotion and valorization of the digital cultural content, Michael Culture develops tools and services for cultural institutions and the general public. 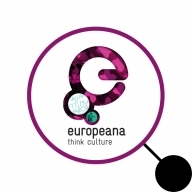 Linked to other major European cultural heritage networks and projects such as Europeana, Europe's Digital Library, Michael Culture Association supports European and national cultural policies. 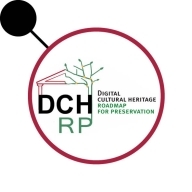 It also aims at enhancing the network of European professionals working on digital cultural heritage and advocating for DCH. MUSEU-HUB is a reference point for European museums and other cultural institutions hosting museum collections in the field of digital cultural heritage and aggregation for Europeana. It provides services, good practices, training, help-desk, documentation, updating on digitisation, standards, aggregation, IPR and reuse, multilingualism and terminologies, digital exhibitions, digital storytelling tools. It's managed by Michael Culture. The May 2019 European elections will take place at a pivotal time for the European Union. MCA is involved as full partner in the NETCHER project (2019-2020) , coordinated by CNRS. Netcher project (NETwork and digital platform for Cultural Heritage Enhancing and Rebuilding) aims at building an information network and a chart of good pratices at european scale, by gathering a maximum numbers of actors engaged in cultural preservation. It is funded by the 8th Framework Program of the European Union for Research and Innovation (Horizon 2020) and brings together over a period of 2 years a consortium of 7 European entities, each one responsible for a research theme and a profesionnal network. 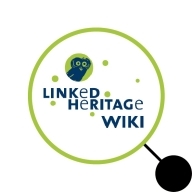 MCA is involved in the CROWD HERITAGE PROJECT (CEF_Generic Service) coordinated by NTUA, aiming at improving the quality of Europeana’s digital content by developing a standalone online platform for enriching metadata of selected cultural items. The partners will implement campaigns toward various communities aiming at increase description of datasets. MCA will implement 2 campaigns - Sport and Cities & Landscape - with Educational communities. The partenrs are; NTUA, Europeana Foundation, French Ministry of Culture - DIN, EuropeanaFashion, Michael Culture. MCA contributes to the JUDAICA 2.0 project (CEF - Generic services) coordinated by Jewish Historical Museum - Netherlands. The project aims to provide support to Jewish cultural heritage institutions to increase the amount of Jewish cultural heritage materials (digital content and metadata) accessible through Europeana, that is of high quality and available for re-use, and increase the awareness and usage of this content on Europeana. The 2019 Europeana conference/Europeana Network Association Annual General Meeting will take place at the National Library of Portugal. It will bring bring together communities from tech, communications, impact, research, education and copyright. -Enhancing cross-sector and cross-border cooperation and capacity building in the sector of digitised cultural heritage. An important highlight of the Closing Conference was the release of the first ever European Framework for Action on Cultural Heritage by the European Commission. This document captures the achievements of the European Year of Cultural Heritage 2018, and proposes new initiatives to ensure its lasting effect. It reflects the common set-up for heritage-related activities at European level, primarily in EU policies and programmes. You can read the Framework document on the Commission's website, or have a look at the fact sheet! 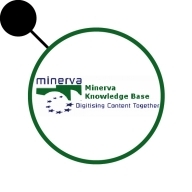 Professional meeting: "Your collections on Europeana: Overview of aggregation channels"
A meeting intended for cultural institutions contributing to the Moteur Collections and Territorial Museums. The Moteur Collections is the national aggregator for France. Presentation of the strategic framework of Europeana and present the publication framework and the technical recommendations for a better online visibility of the collections of French cultural institutions. Event organized by French Ministry of Culture - DIN with in partnership with Michael Culture / MUSEU-HUB. This international conference focused on the different ways in which the digital revolution is changing our perception of the body, space and time. How digital innovations modify the different scientific disciplines: medical anthropology, archaeology, art history and architecture? What is the impact on professionals and actors of art, museums, cultural mediation in society? The conference Europe and Fashion: Questioning Identities and Cultures focuses on European sartorial heritage, its collecting and its archiving practices; it explores and contextualises spaces of cultural interactions, displacement and construction of national and transnational identities in the European landscape. University of Lincoln is launching the ‘Heritage Dot’ initiative, exploring digital horizons in relation to cultural heritage. Heritage Dot will create a platform for sharing, challenging, disrupting, and interrogating what digital heritage is and does across professional, academic and community sectors with interests in heritage. Heritage Dot is organised with the support of Michael Culture Association, Imperial War Museums, Heritage Lottery Fund. It has been recognised as a European Year of Cultural Heritage event. The main Conference will take place on June 3-5, 2019. 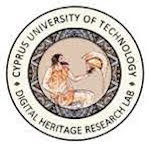 A one day conference dedicated to digital technologies and cultural heritage. The 6th International Euro-Mediterranean Conference (EuroMed 2018) on Digital Heritage focusing on Documentation, Preservation and Protection is an opportunity to exchange know-how and experiences in the Cultural Heritage research as well as the current and future worldwide developments in this area. The Centre for Image Research and Diffusion (CRDI) of the Girona City Council and the Association of Archivists of Catalonia, organized the 15th Image and Research International Conference, held in the Palau de Congressos de Girona from 22th to 23th of November. On 21th and 24th, two workshops related to the areas of interest of the Conference were organized. The I&R Conference is organized in collaboration with several partners including Michael Culture. Michael Culture supports the Culture Action Europe campaign calling on the European Institutions and Member States to recognise the EU added value of cultural investment and translate it to sufficient support in the next EU budget. This campaign aims to influence the next Multiannul Financial Framework (MFF) that takes effect after 2020 and shapes the annual budgets of the EU, covering typically 7 years. 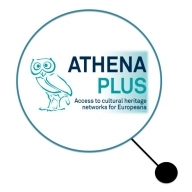 This policy review gives the state-of-the-art of current EU-funded research on cultural heritage, it presents current EU-funded research on cultural heritage and gives evidence and advice towards better and more integrated education, cultural, social and other policies at European, national and regional level.